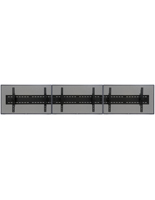 The Monitor Stand Holds A Variety Of Television Sizes. The Bracket Is VESA Compatible. 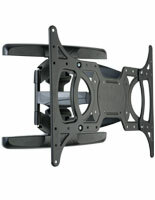 MonitorStandsNow.com Is A Leading In-Stock Supplier Of TV Products! 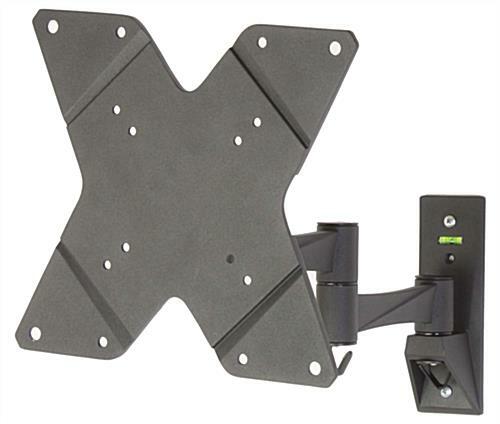 This black Monitor stand provides fast & simple mounting. 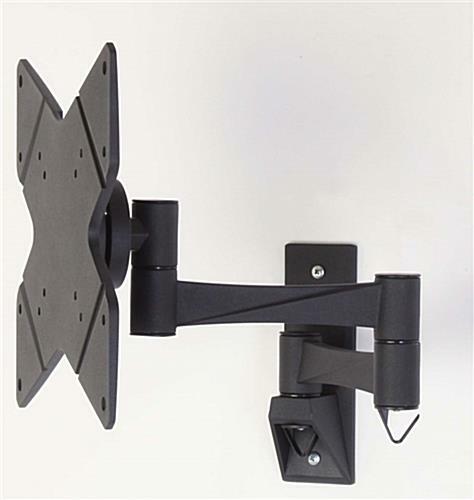 The flat screen support brings a television up to a comfortable viewing area. 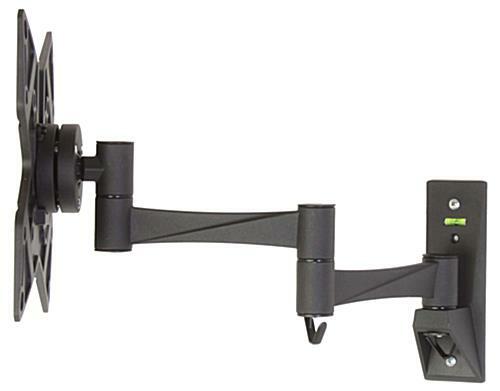 This Monitor stand that features a double-articulating arm, also known as a plasma mount, complies with the internationally recognized VESA standards, offering compatibility up to 200mm x 200mm. Each display has many useful features integrated into the design, making them a great value, even when purchasing in bulk! The aluminum Monitor stand is an effective and affordable choice for residential use in family rooms, bedrooms or even kitchens. 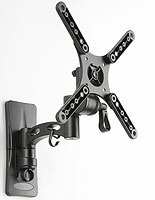 Hotels, office buildings and conference centers will also find the LCD or flat screen mounts to be a useful addition. 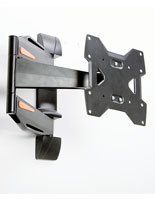 This plasma display, Monitor stand that rotates holds televisions ranging in size from 23"-42" weighing less than 44 lbs. 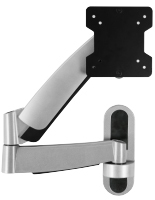 The mounts feature a double-articulating arm, allowing it to extend anywhere between 3" and 16-1/2". Additional features include titling capabilities (up or down 15° in each direction), side-to-side panning, and full, 360° rotation. All movements can be performed by hand, without additional tools! 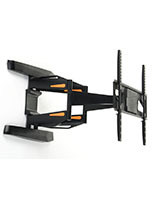 Two small clips can be found on the underside of the flat screen LCD mounts, to help guide wires back away from the television. 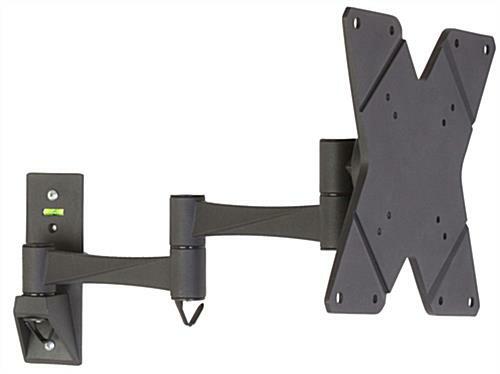 This plasma display includes all necessary hardware for both surface mounting, and securing a television to the mount (although some TVs may require specific screws that can be found at any local hardware store). 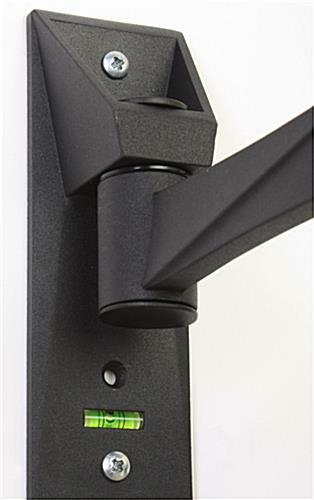 A bubble level is built into the mounting plate for ease of installation. 2.1" x 6.6" x 2.1"